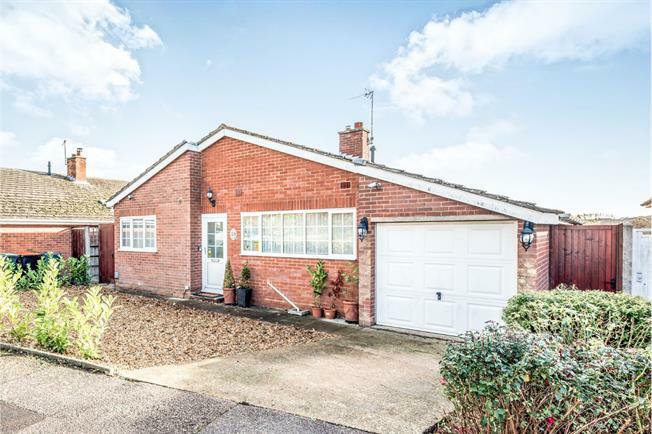 3 Bedroom Detached Bungalow For Sale in Bedford for Guide Price £375,000. A well presented three bedroom detached bungalow located in the village of Bromham. The property comprises of entrance hall, large kitchen-diner, lounge with extended dining room overlooking the rear garden, three bedrooms all serviced by the family bathroom, and integral garage. Outside offers driveway which leads to the garage, and enclosed private rear garden.